Christmas in Kansas City was relaxing, fun, and a great break from everything. We had amazing food, watched the new Sherlock Holmes movie, slept in everyday, did some last minute Christmas shopping and errands, had some family photos taken, and hung out with family and friends. Kevin was deeply into his Steve Jobs book and I flew through the first Hunger Games book in 2 days. 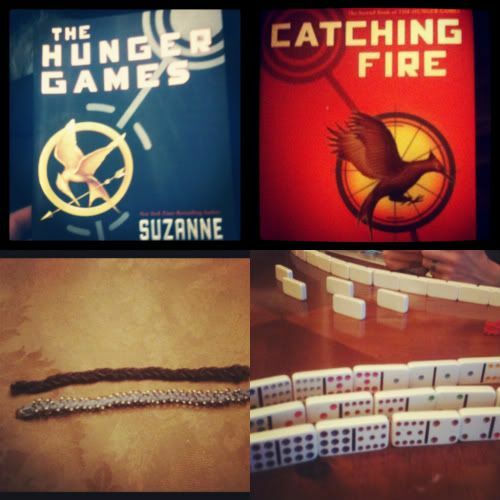 I am now finishing up Catching Fire and just bought Mockingjay yesterday from Barnes and Noble. I am obsessed (proof here). Tara and I made some more bracelets and Kevin, David, and I played an insanely long round of Mexican Train (with the dominoes). We also skyped with my sister Kelsi who is on her mission in Brazil! More to come soon. What did you do this past holiday weekend? Oh how I wish I got to sleep in! I don't know what sleeping in is anymore! Mine was spent running around from house to house all day long! How was the new Sherlock Holmes movie? I want to see it! Oh and I didn't get The Hunger Games, but the hubby bought me a nook so I purchased the trilogy on there. I'm proud to say that I finished the first book last night! I was hooked on Hunger Games too... but I messed up and read MockingJay right after Hunger Games ): I ruined my book experience... your Christmas looks like so much fun. Love the trains. I also got the Hunger Games series for Christmas! Love it :) looks like you had a great one! 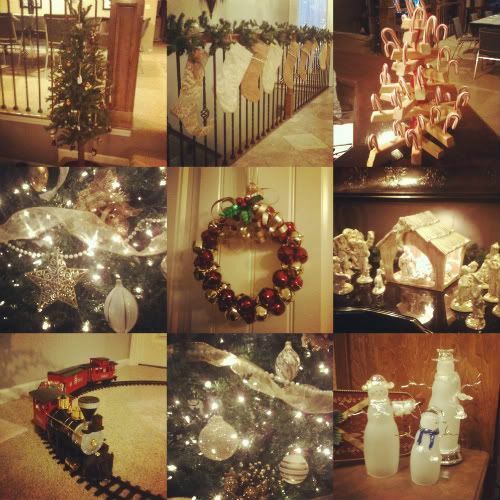 and i love the pics of holiday-ness! ahhhhh! i'm reading hunger games right now! read up to chapter 8 in one night. pretty sure i'll be staying up till i finish tonight! is the 2nd one good? oh my gosh loveee the instagram pics :) looks like such a fun holiday week! i'm excited to start reading hunger games!